Excellent position, free wifi & undercover parking This is our second stay at the Grand Palais and would highly recommend it. Staff are ever so friendly and accomodating. It's position is fantastic, unit was super clean and inviting. Great having wifi too. Great hotel, excellent staff and perfect location. 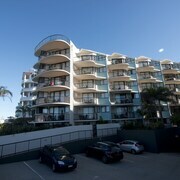 Pleasant family stay Enjoyed the quiet 3 bedroom apartment. Family really enjoyed the swimming in the heated pools. Family friendly playground. Easy lift access and secure parking. Feeding the ducks, swans and their babies was a highlight. Would definetly stay again. 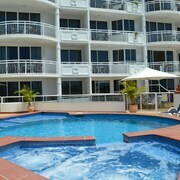 Good location close to Mooloolaba for the triathlon. The Dalai Lama said, 'Once a year, go someplace you've never been before.' So why not listen to his advice and book a week or so in Alexandra Headland, 30 kilometres from central Sunshine Coast? Spiritual fulfilment isn't guaranteed, but a heavenly deal on your hotel is! Nothing quite compares to the tranquility of sprawling by the sea. 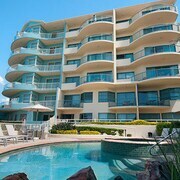 Make sure you visit Mooloolaba Beach. 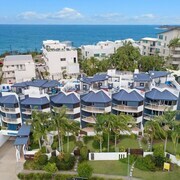 If you're after a place to crash close by, the Oceans Mooloolaba and Alexandra on the Pacific are a couple of seriously sweet options. SEA LIFE Sunshine Coast aims to educate visitors on the incredible critters of the marine world. 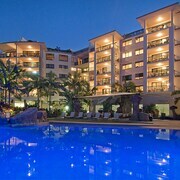 Some accommodation options to check out around here are the Aqua Vista Resort and Beach Club Resort. If you're heading home and you're not slightly afraid to check your bank balance, did you even go on holiday? 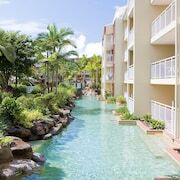 The Oaks Seaforth Resort and Grand Palais Beachside Resort are worth considering if you don't mind throwing down a few more coins. 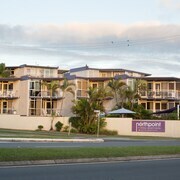 Why not chat to your mates about reserving hotel room in Alex Beach or Mooloolaba when arranging your holiday? 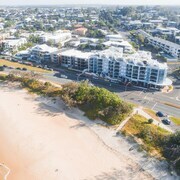 Alex Beach is 1 kilometre from Alexandra Headland, and Mooloolaba is about 3 kilometres away. There's nothing wrong with take-away food apps and movie streaming sites, but occasionally you've got to get out of the house! Make some memories on an awesome holiday with some guidance from lastminute.com.au.